(Last Updated On: November 17, 2018) Indoor Air Quality Monitor: VOC, fine particles, mites, allergens, the air of our homes is polluted. 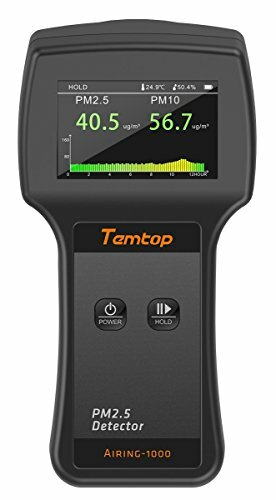 To apply the right techniques to improve indoor air quality, you must first evaluate it! With a connected object or a professional, discover the solutions to measure the air quality at home. The right move to improve the quality of indoor air? How to fight what we do not know? It has been demonstrated for ten years now: contrary to what we thought, the air is more polluted inside our homes than outside, even in the city. In question, many substances that stagnate in our homes too often poorly ventilated: volatile organic compounds (VOCs) or semi-volatile (COSV), among which aldehydes (present in glues, varnishes, household products, wood chipboard and plywood ) and phthalates, but also fine particles (dust, pollen, mold, fumes, etc. ), carbon monoxide, animal and insect allergens, mites, benzene, etc. Pay attention! When you sign up for Amazon Prime, you can get free two-day shipping. Air! At least 10 minutes a day recommends the Observatory of Indoor Air Quality (OQAI). But this is not enough, especially when the pollution is targeted, and it has consequences for the health of the occupants. We can then use cleaning materials, increasingly common in construction and interior design. Before launching the plan of battle against the invader, it is necessary first to draw the portrait of it! Measuring the quality of the air at home helps to define the most important pollutants, specifically to eliminate sources of pollution. House apart you detail the different solutions, on the following pages. The Internet of Things (IoT) is also about your health. 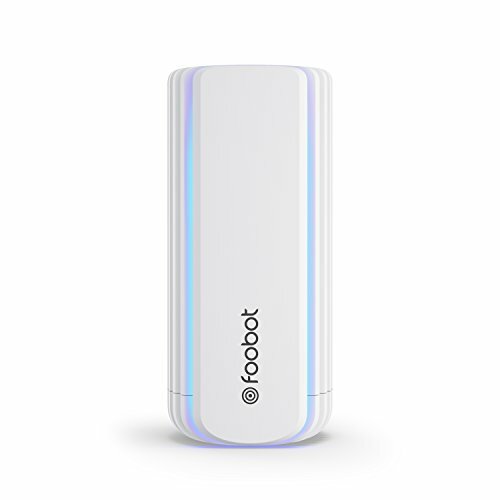 In addition to the inevitable carbon monoxide detectors, today there are small devices that monitor the air of your home: Foobot Airboxlab, Aware, BlueAir, AirQualityEgg, or hugOne Seven Hugs. Their price ranges from 100 to 300 Dollars. Placed in a strategic location in the room, these devices continuously measure pollutants in the ambient air. Depending on the model, they warn you in real time or compile the data that is then accessible remotely from your mobile for example. The downside: there is no advice, it’s up to you to define the strategy to improve the quality of indoor air. SAVE ENERGY WITH NEST: Nest introduces the 3rd generation Nest Learning Thermostat. 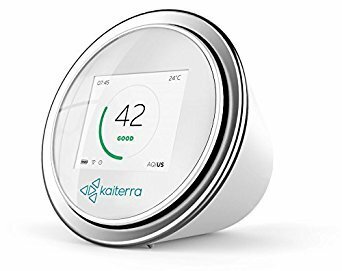 With four beautiful colors to choose from and an easy to read display, this thermostat will help make your home not only smart but energy efficient. With just a few manual adjustments, the Nest Thermostat can learn your habits and start to save you money by automatically adjusting the temperature. READ THE DISPLAY FROM ACROSS THE ROOM: The Nest Thermostat does something new. It's called Farsight, and it lights up to show you the temperature, weather or time. You can even choose a digital or analog clock face. Farsight is big and bright on the beautiful display - you can see it from across the room. A STYLE FOR EVERY HOME: The Nest Learning Thermostat now comes in four fantastic colors; Copper, Stainless Steel, Black, and White. Choose copper to add a warm touch. Stainless steel is perfect for a classic, versatile look. Black blends in with dark walls and stylish decor. And white looks great in simple, modern homes. THERE'S NO PLACE LIKE A NEST HOME: We love home. It's the best place in the world. But not everything inside our homes is lovable. Some things beep at us; fail without warning; keep us in the dark. There are things we've learned to ignore. We think these things should do more. Nest is focused on making simple, human, delightful things. That's how we're creating the thoughtful home: A home that takes care of the people inside it and the world around it. Know from anywhere: Connect Nest Protect to Wi-Fi and it will send an alert to your phone if the alarm goes off or the batteries run low. Wireless:Working Wi-Fi connection: 802.11b/g/n @ 2.4GHz Wireless erconnect: 802.15.4 @ 2.4GHzWireless: Working Wi-Fi connection: 802.11b/g/n @ 2.4GHz Wireless Interconnect: 802.15.4 @ 2.4GHz Bluetooth Low Energy (BLE).Tells you what and where: It speaks up to tell you if there's smoke or CO and where the problem is, so you know what to do. App Silence: Nest Protect is the first alarm you can hush from your phone. Simply walk to the Nest Protect that noticed the problem and open the Nest app. Split-Spectrum Sensor: In an emergency, seconds count. 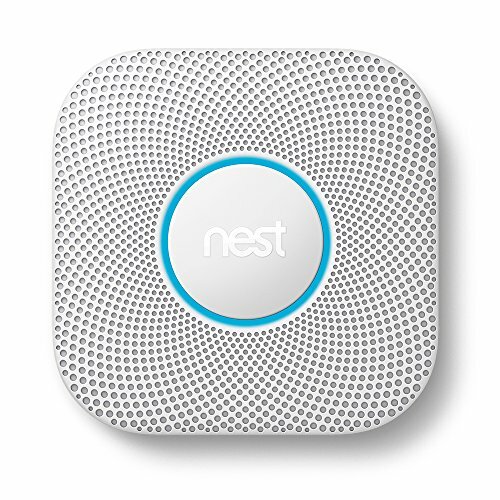 Nest Protect uses two wavelengths of light to look for both fast and slow burning fires. Heads-Up: Get a friendly voice alert so you can handle burning toast before it becomes a burning toaster. 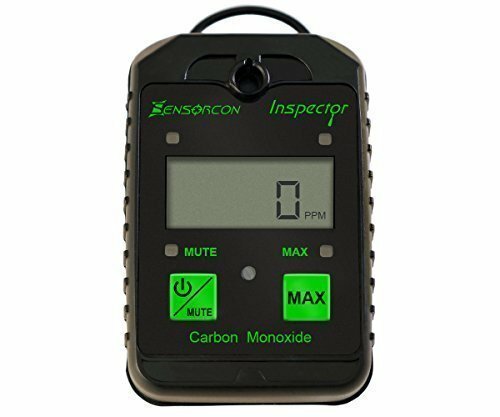 10-year carbon monoxide sensor: Carbon monoxide is odorless, invisible and deadly. When there's CO, Nest Protect tells you where it's hiding. IFTTT (If This, Then That): Set your AirVisual Pro to act, based on certain parameters. For example, if your AirVisual Pro has a high CO2 reading, then you get an alert. 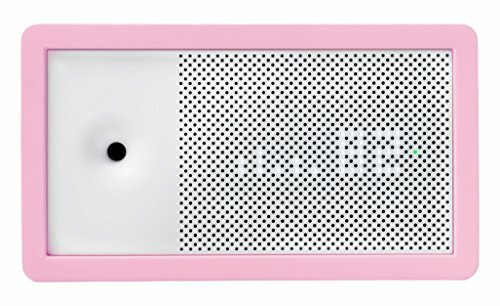 MAKE THE INVISIBLE VISIBLE: Foobot detects the harmful, invisible, and odorless pollutants inside your home, allowing you to visualize your overall air quality level through an LED color display. HIGHLY ACCURATE: Berkeley National Lab determined Foobot to be among the most reliable monitors for PM2.5 readings. Foobot's sensors only need 6 days to "warm up", so in less than one week you can have full confidence in the readings, alerts, and suggestions it generates. 30-DAY MONEY BACK GUARANTEE: You can try Foobot in your home today, risk-free, to see its value for yourself. 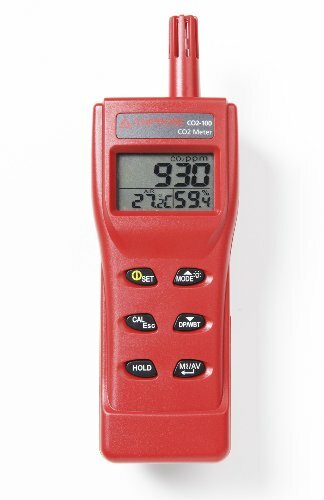 A POWERFUL TOOL FOR HVAC PROS to help clients solve their indoor air quality issues. Foobot backs up your decisions with real-time data and powerful before/after graphs using our dedicated cloud-based software. Multi-Function air quality detector. 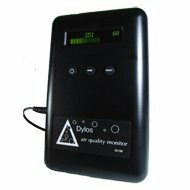 Accurate Testing Formaldehyde(HCHO)/PM1.0/PM2.5/PM10/TVOC/Temperature/Humidity meter with time display. 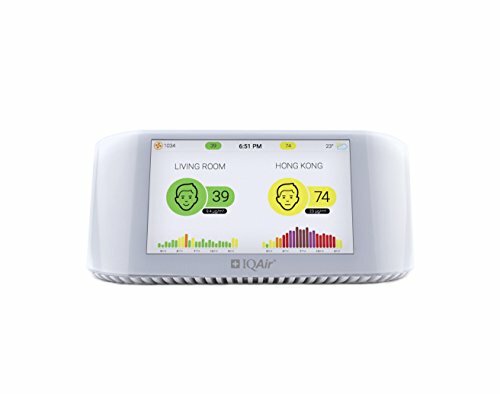 Real-time AQI(air quality index) to know the air quality in your environment for your family health. If exceed standard, alarm prompt. Large color LCD screen intelligently display the testing results. English interface easy and clear to read! If the device has not been operated for 5 minutes, it will enter the black screen protection automatically to Save energ. Built-In high-capacity lithium battery with long stand by time, can be charged by USB cable. Low battery alarm. And if there is no operation within two hours, the air quality meter will close automatically. Fashion hand-held design. Suitable to use at Home(Kitchen, Bedroom and etc. 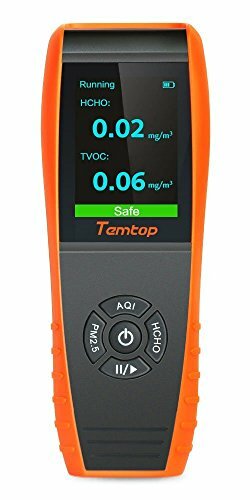 ), Office, Car, Travel, Camping and Party, etc.. Test the Air Quality anytime anywhere to be away from harmful of PM2.5, TVOC, HCHO, Haze and so on. Lifetime Product Guarantee. 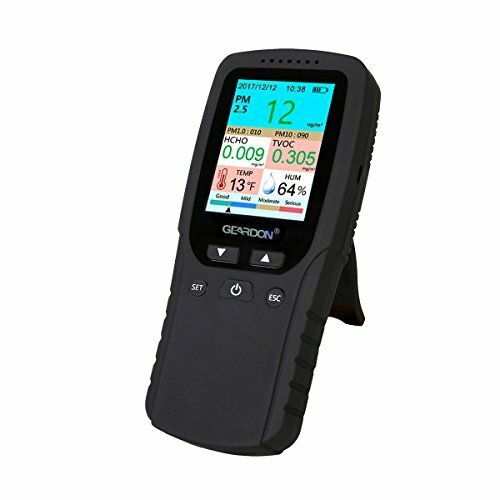 We stand by our Air Quality Tester and back it with a lifetime product warranty. Your complete satisfaction is a priority for the Briidea client support team, If you have any questions, don't hesitate to contact us! We are confident that this will be the best air quality test kit you will ever buy. MULTIFUNCTIONAL & SCIENTIFIC - this device accurately assesses multiple measures of air quality including concentrations of formaldehyde (HCHO), total natural & synthetic volatile organic compounds (TVOC), and fine particulate dust matter measuring <2.5 microns in size (PM2.5) which travel deeply into the respiratory tract, reaching the lung alveoli and can worsen asthma. ADVANCED FAN & SENSORS - Unlike cheaper models, this device has a built-in fan to quickly draw in ambient air to allow REAL-TIME measurements. 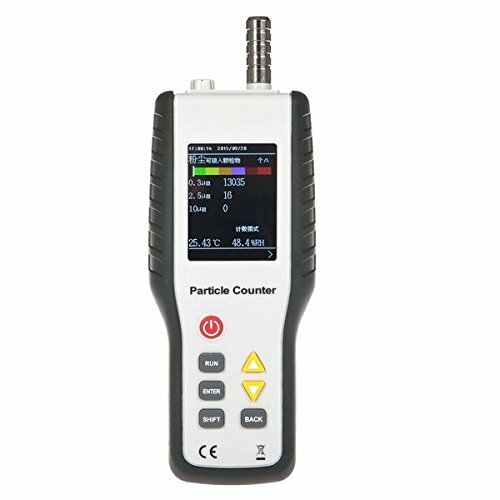 It incorporates a laser sensor to measure levels of dust particles and has a second electrochemical semiconductor sensor to measure formaldehyde and natural/synthetic organic compound levels. Also included is an eBook and Water Test Kit (100 test strips) measuring Hardness, Lead, Nitrate, Cyanuric acid, Chlorine/Bromine, and Fluoride concentrations. AFFORDABLE & PORTABLE - this easy to carry device can help monitor air quality at home, in the car, and in hotel rooms. The 2200mAh battery provides portable power when DC 5V micro USB charging is not available. Information is displayed on a clear 2.8" color LCD display. The Water Test Kit can check water quality on the go and measures 6 potentially concerning chemical levels in your municipal water. HEALTHY HOME? - Is your family suffering from sick building syndrome? This tool detects organic compounds like formaldehyde which has suspected links to nasal cancer and lung cancer emitted from many household materials. Its measurement of particulate pollution can also help you know when asthma may worsen and when to change your home's air filter. ORIGINAL DESIGN & LIFETIME USA SUPPORT - We have Midwest-based technical staff including a chemist to answer any questions you have. 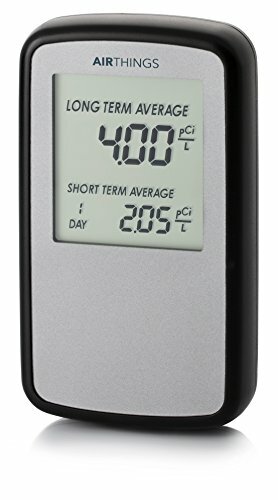 Also included will be a Water Test Kit with 100 test strips and 20+ page eBook on Gas and Air Quality Hazards that is bundled with this detector. WiFi & Bluetooth App Control and Voice Control: Wifi enabled purifier gives you the power to monitor and control your air quality from anywhere - 24/7! Voice Control Capable with the Alexa Skill or with your Google Assistant. Guardian App provides instant notifications and alerts you when it's time to replace the filter and uv-bulb. 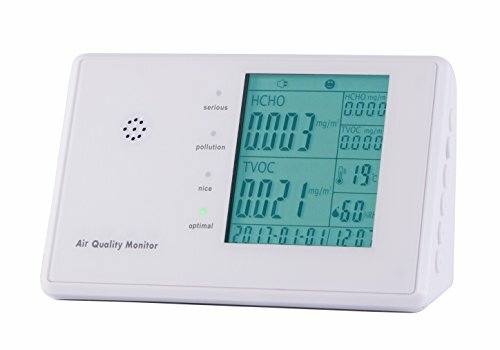 Air Quality Monitor (AQM) with Indicator Display: Smart AQM detects particulate matter that is 2.5+ microns in size and automatically adjusts to optimize room air quality. Traps Allergens & Fights Germs: The HEPA filter captures 99.97% of allergens including dust, pet dander and pollen while the charcoal filter gets rid of nasty household odors. UV-C light technology works with Titanium Dioxide to kill airborne bacteria, viruses, germs and mold spores. Carb Compliant. AHAM Verified and Energy Star Certified: 22 inch 5 speed smart tower is best used for rooms up to 153 sq. feet. Filters and circulates room air over 4x per hour. The higher CADR the faster the unit filters the air. CADR Dust (107), Pollen (116) and Smoke (99). Filter Replacement Reminder: Only one single filter needs to be replaced every 6-8 months depending on the use of the product. Replacement filter is filter B (model FLT4825). To lengthen the life of your filter a 4 pack of the carbon filters is also available (model FLT22CB4). IMPORTANT: Use GENUINE Guardian Technologies replacement parts to maintain product performance. 3 year limited manufacturer warranty. Take control of your environment: The LaserEgg 2 with its elegant design is Suitable to use at home, office, in the car, or public places. 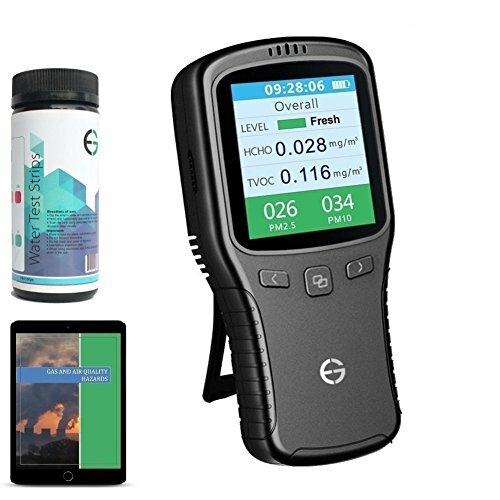 An ideal multi-function testing tool to monitor the air quality around you. Set-up, updates and calibration via WiFi through the Kaiterra App for Android and iOS. Visualise and download historic air quality data. LaserEgg 2 with Apple HomeKit Integration (from iOS 9) - Just Ask Siri! Power Supplied by Battery (Included) or 9V Adaptor . Optional Software CD for PC Connection Online Logging is also possible. Built in high-capacity battery(Battery voltage: 3.7VDC). Large LCD display screen show the testing results, English interface easy and clear to read. 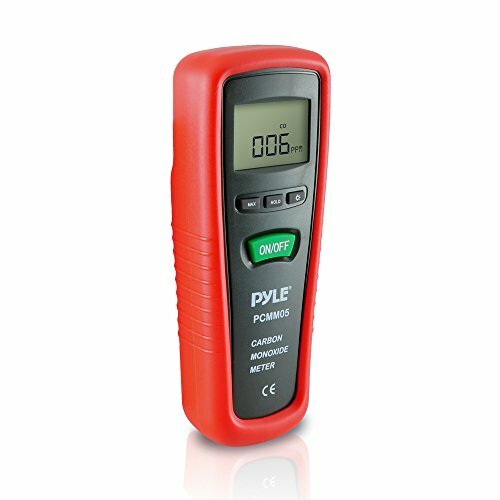 Suitable to use at home, office, in the car ,outdoor and other environmental testing. 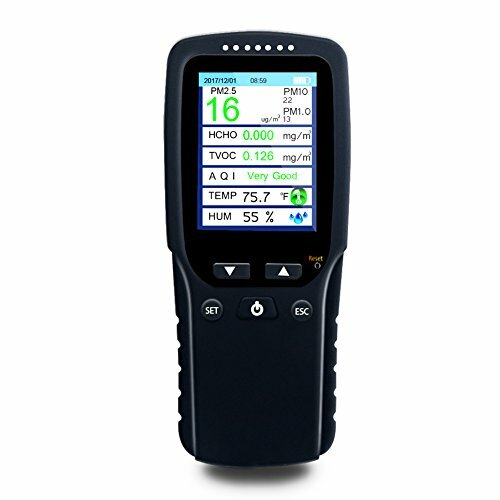 An ideal multi-function testing tool to monitor the air quality, a safeguard for family health. Compact and light weight design makes it comfortable to wear. detection time is short and accurate. , Sampling Custom(1s~ 59min. 59s) ,Sampling frequency:1~99/Continuous, Power: 9 V DC battery (not included). 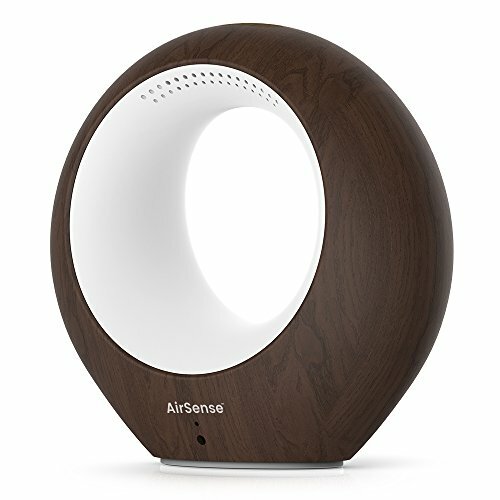 Detects harmful VOC elements for babies in the air such as Carbon Monoxide, Methane, Alcohol, and more. Two-way audio speakers to use as audio monitor, play music, or record your own voice. Millions of light colors for entertainment or use as night or reading light controlled on free iOS and Android app. Detects temperature, humidity, and sound and sends smart alerts to your phone or tablet. See other people's air quality in different locations and receive health improvement tips. 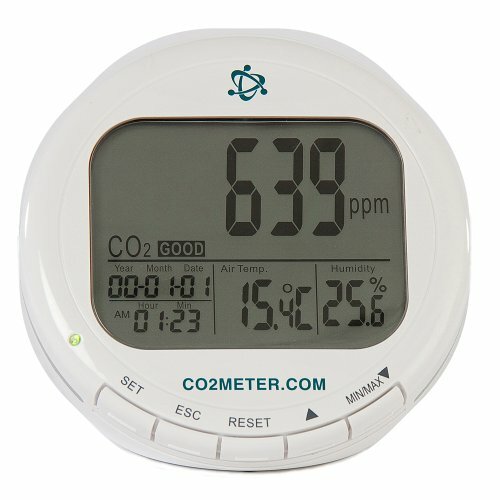 INDOOR AIR QUALITY METER - The CO2 meter measures Carbon Dioxide levels, Temperature and Humidity with Dew Point and Wet Bulb. Use for continuous monitoring of residential, and professional environments, such as warehouses, restaurants, garages, and greenhouses. VISIBLE AUDIO CO2 ALARM - The CO2 monitor comes with a programmable, visible audio alarm (80db) to alert you to high levels of Carbon Dioxide. The beep can be manually stopped, but automatically stops when the CO2 reading falls below the lower limit. 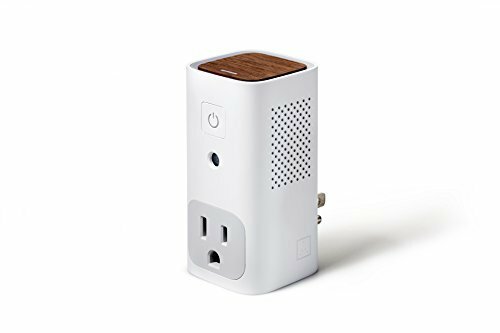 USE ON WALL OR DESKTOP - The IAQ meter is super portable so you can bring it all around your home or workspace to test the air quality. It can be easily mounted on the wall or placed on a desktop. 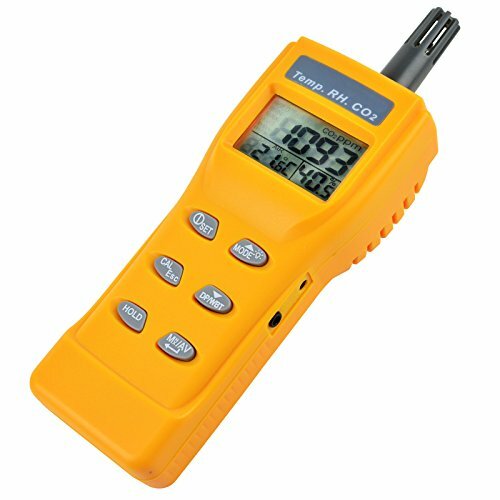 LARGE LCD DISPLAY - The CO2 detector takes 30 seconds to warm up and has a large, triple function LCD display, so you can clearly see exactly what is going on with the air around you. 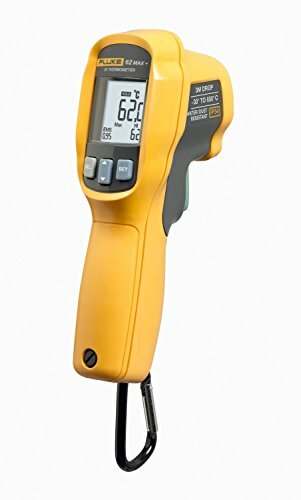 NON-DISPERSIVE INFRARED SENSOR - The Supco IAQ50 CO2 Meter use a Non-Dispersive Infrared Sensor (NDIR). 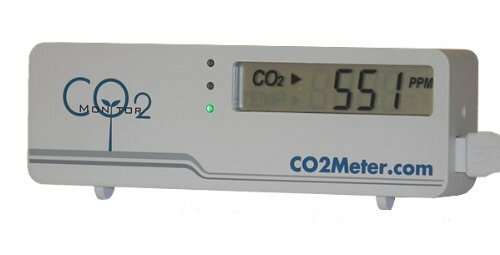 NDIR is one of the most popular forms of CO2 sensing technology available. The gas flow conductivity detection technology with combination of factory testing, calibration and ISO compliance will provide you trustworthy measurements. As well as a high resolution in HCHO/TVOC values will shows you the slightest fluctuations in the air quality. 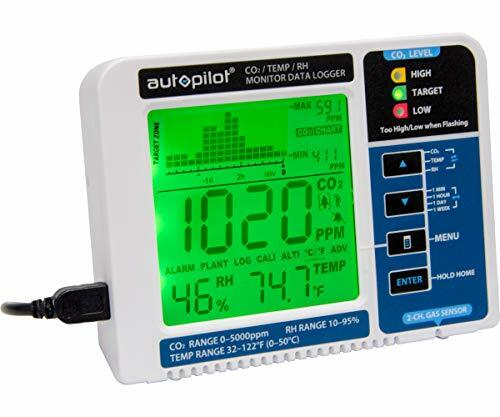 This great stationary monitor can help you understand the air quality in your surrounding and the sources of toxic fumes if there are some, either it is your kitchen, living room, bedroom or office. Sometimes we underestimate how a routine cleaning of the house or cooking your daily meal can affect the air quality. Be positive that your air is safe and clean with this simple in use Air Quality Monitor. Formaldehyde HCHO/TVOC and PM2.5/PM10 real time gas monitoring to prevent any respiratory disease. Additionally, check humidity for breathing relief and to avoid mold occurrence. If there are any questions regarding monitor functionality or you need any assistance on how to re-calibrate the sensors, please contact us via email we are here for you 24/7. 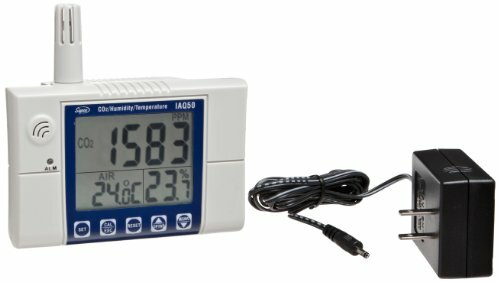 LED Display Light and easy to read numbers surrounded by classic white frame with air quality light indication and support of an alarm sound will let you know if you air is unsafe and you need to take some actions. 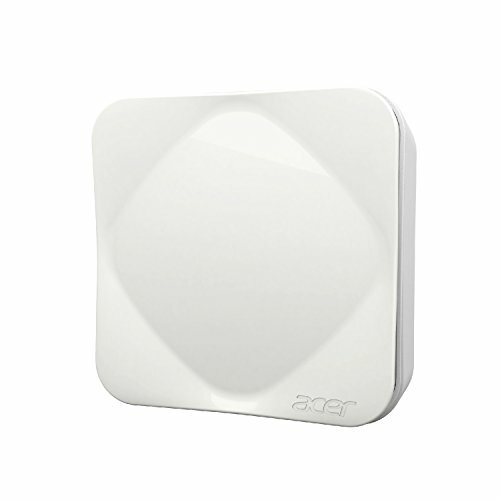 This small monitor with great design and simple control settings will suit any home or office interior. Built in high-capacity battery. LCD display screen show the testing results, English interface easy and clear to read. Easy to operate with simple system settings through 2 function buttons. Built in large capacity lithium battery with long stand by time, can be charged by USB cable!